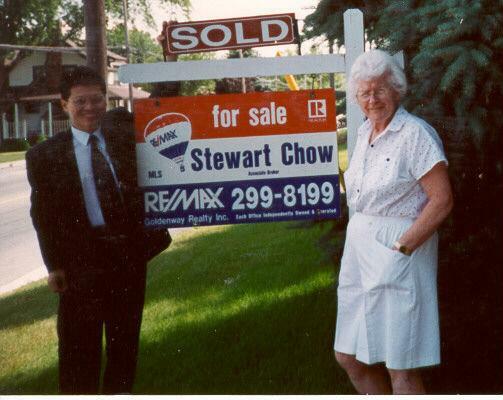 Stewart Chow-Your Re/Max Agent in Toronto, CANADA For those in search of excellence in real estate service! Whether you are buying a home or selling your home in the Toronto area and vicinity, Stewart Chow and his team are ready to help with absolute confidence. Buying or selling a home can be a daunting undertaking. Hiring Stewart and his team gives you an obvious advantage over the others. With more than 50 years of combined hands-on experience in the market place, Stewart and his team can help you find your dream home that best meets your needs and within your budget . Their many years of experience combined with their strong negotiation skill have time and time again produced results beyond their peers' and consistently exceeded their clients' expectation. For those in search of exemplary and quality real estate service, you owe it to youself to contact Stewart Chow and his support team at 416-299-8199 or send me an email to stewartchow@remax.net. You will be glad you did.